Advertiser.ie - Ó Clochartaigh or Connolly for the Dáil? Or both? Sinn Féin Senator Trevor Ó Clochartaigh. Protest works. This is the message of the last number of weeks. Although Insider is uncomfortable with some of the more intimidating displays seen recently, there is no denying that the scale of the anti-water charges protests, the palpable public anger, and the unprecedented display of hostility shown to both the Taoiseach and Tánaiste has chastened the Government. No longer do we hear An Taoiseach Enda Kenny proclaiming how “proud” he is to have overseen the creation of the dysfunctional quango Irish Water; or sounded like he was deriving sexual gratification from this boasts about the “courage” he displayed in introducing water taxes. Instead, in the wake of the protests, the Government has climbed down, piecemeal by piecemeal, reducing the levels people are expected to pay. If An Taoiseach stopped to think about it, he should have known never to sound so arrogant about water taxes. There are no votes in it. No one will ever thank him for it. A bit of humility, and people would have still hated it, but they would have borne it reluctantly. The problem now is that far too much damage has been done. The public do not, and may never, trust Irish Water; they are tired of Fine Gael telling them the economy is on the up and then introducing new taxes to swipe what little bit of extra money was just about to come in; and disgusted with Labour for being so content to let the Blueshirts have an untrammelled say on economic matters. It is no surprise then that the likely outcome for the 2016 General Election will be a drop in seats for both Labour and Fine Gael. However FG will retain enough to command status as the lead party for the next Government, but Labour will be decimated back into the Opposition benches. Fianna Fáil will probably gain a few seats but will there will be no return to its pre-2008 numbers. What though, for Sinn Féin, small Left parties, and Independents? The future of Galway West? In last week’s Grassroots, Insider looked at how the 2016 election - about 18 months away at most - could play out in Galway West, among the main parties. Fianna Fáil and Fine Gael will take one seat each, although FG, if it gets a bit of luck on the day, could challenge for, but is by no means guaranteed, a second seat. Labour will lose its seat. Dep Derek Nolan will hate Insider for saying so and will proclaim from the rooftops that he will be going back to the Dáil, but with Labour nationally at between seven to nine per cent, it is not realistic to think the party can double those figures within the next 18 or so months, in order to be in or around the 16.67 per cent necessary to take a seat in Galway West. Effectively, this means three seats up for grabs out of the five in the constituency. So can SF, the Left, and/or the Independents capitalise on voter disillusionment with the mainstream parties which look increasingly tired, out of touch, and fatally wedded to outmoded ideas? This week Insider will look at the potential battle royal for the Left seat between Sinn Féin senator Trevor Ó Clochartaigh and Independent councillor Catherine Connolly, before next week turning his gaze towards the impending Battle of Oranmore between the centre/centre-right Independents of Dep Noel Grealish, Sen Fidelma Healy-Eames, and county councillor James Charity, who announced his intention to run for the Dáil on Tuesday. Is Trevor ever getting up (to the Dáil )? In May, Galway finally threw off its reputation as ‘the most anti-Republican area of the State’ by electing three SF councillors to City Hall; councillor Tom Healy for Connemara; and Gabe Cronnolly for Athenry-Oranmore. This was a fascinating result as it gives SF a presence in both northern and coastal Connemara; throughout each of the city’s three wards; and in the extreme east of Galway West - effectively all bases are now covered. No man was happier than Sen Trevor Ó Clochartaigh. Although his past electoral performances have been strong, he had no hope of winning a seat being the lone Shinner stranded in the middle of Éamon Ó Cuív’s heartland. Connemara is still Ó Cuív’s fiefdom for as long as he is in politics so Sen Ó Clochartaigh must still play second fiddle to him. However he now has a broader canvas to work on and can look at taking votes from across the constituency, thanks to his strategically well positioned colleagues. Sen Ó Clochartaigh is not your typical Shinner. His background was originally Labour, and this, as well as his work in the arts (he was a former artistic director of An Taibhdhearc and a producer for Ros Na Rún ) means he pulls in a wider vote than just SF. Many of his new council colleagues also take from outside a traditional-SF base (Cathal Ó Conchúir most of all ). This augers well for the Connemara man being able to take votes from across all areas of Galway West. He will not have to worry about Fine Gael’s Sean Kyne who will not be pulling from the same voting pool in Connemara, the city, or South Mayo. Neither will he be too concerned about Dep Grealish who will have his own battles with Sen Healy-Eames and Cllr Charity - rather, his big worry will be the formidable figure of Cllr Catherine Connolly. Bad enough for Sen Ó Clochartaigh he must be in the shadow of Éamon Ó Cuív in Connemara, but he also has to fight for that other vote in the region, the Left-Republican vote - epitomised by former councillor Seosamh Ó Cuaig. Cllr Ó Cuaig and Cllr Connolly worked well together over many years and would share much of the same ground ideologically. Cllr Connolly also has family connections in Connemara, is a fluent Irish-speaker, and commands much in the way of both respect and votes across the region. This will impact on Sen Ó Clochartaigh’s vote. Surely he can content himself with the vote he can expect in the city? Again though, the lion’s share of the Left vote will go first to Cllr Connolly and any candidates from The Socialist Workers Party (under the People Before Profit guise ) or The Socialist Party (in the form of the Anti-Austerity Alliance ) will transfer to Cllr Connolly rather than to the Shinners. Since Michael D Higgins made his Dáil breakthrough in 1987 (he took a seat in 1981 only to lose it the following year ), Galway West has always returned one Left TD. In this current climate, that could well rise to two, and of all potential Left candidates, Sen Ó Clochartaigh and Cllr Connolly are the strongest and most able to take those seats. Both could win Dáil seats, but as they are pulling so much out of the same pool they will want to avoid one squeezing the other, or worse still from a Left perspective, cancelling each other out. Will Walsh or Kyne survive the 2016 General Election? 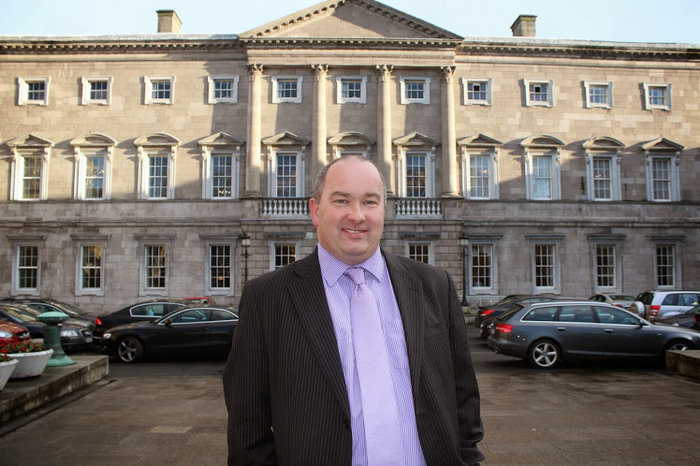 Will Kitt or Keaveney win the Fianna Fáil seat in Galway East? GRASSROOTS: Would lowering property tax only benefit the well off? Galway to ban the election poster? As FG/Labour support falls, is re-election plausible?